Discover the history of the US Navy on this guided, 5-hour tour in Washington, DC. Begin the tour at the Washington Navy Yard, the former shipyard and ordnance plant of the United States Navy. Next, visit the National Museum of the United States Navy, the US Navy Museum Cold War Gallery, and the United States Navy Memorial. Enjoy round-trip transportation and choose to eat lunch (if desired) at either the Fort McNair Officers Club or the Army Navy Country Club. On this guided, 5-hour tour, explore the incredible history of the US Navy with a 20-year Navy Veteran. Begin with a hotel pickup and start this private experience at the Washington Navy Yard, the former shipyard and ordnance plant of the United States Navy. It is the Navy's oldest shore establishment. Also, visit the Navy Museum and discover naval artifacts, models, and fine art, while learning about the Navy's heroes through interactive exhibits. Then at the US Navy Cold War Museum, experience an interactive and modern exhibit. Honor those who have served and are currently serving in the Navy at the United States Navy War Memorial. 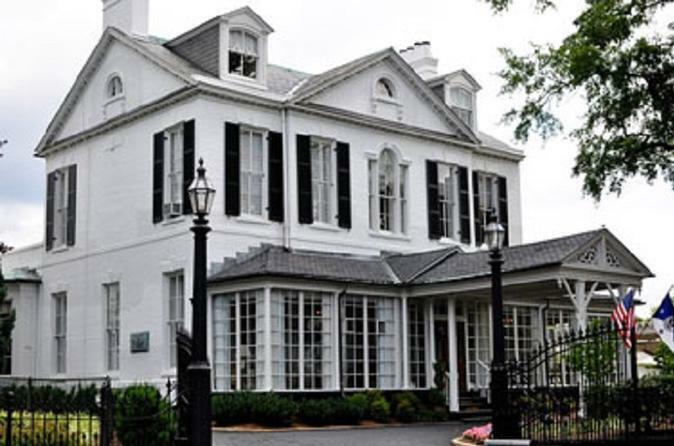 For lunch, stop at either the Fort McNair Officers Club or the Army Navy Country Club for a delicious meal. Travel time between sites by private SUV and tours of each site visited are included in the five hours.